Aaron Paul had a lot of hardware to cart around last night. 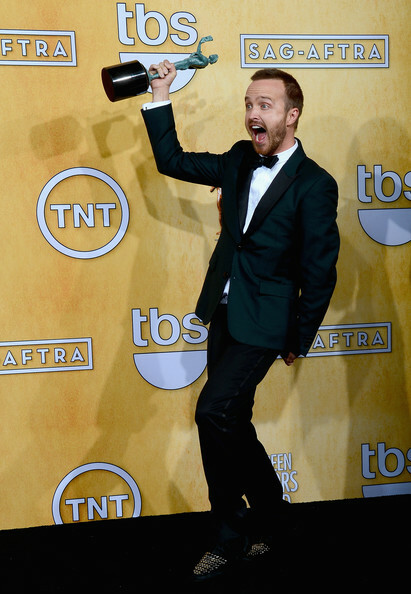 His Burberry shoes were a nice accompaniment to his SAG Award for Breaking Bad’s ensemble cast. See all SAG 2014 posts. Images: Ethan Miller - Getty.